Arabic is a language currently spoken by more than 300 million people around the world by speaking Arabic online. It is the official language in 23 countries of the Arab League. And also one of the official languages of the United Nations. It is easy to speak Arabic online these days. But why study Arabic? What can the Arabian bring you? Is learning the Arabic language going to help you get a better job? Are you going to open the doors to new professions after speaking Arabic online? What are the advantages of speaking this language in the field of trade or science? From a cultural point of view, the Arab has contributed many things to the great civilizations of the Middle East, and also to ours. 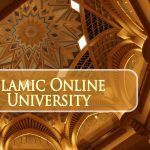 If you decide to speak Arabic online, either at the university or with private classes, you will benefit from the best online Arabic course. Firstly, it is the first language used in the Arab world and the second one learned by Muslims. Secondly, it is the official language in more than 20 countries where they learn to speak Arabic online. Furthermore, It gives you the opportunity to discover a fantastic religious, architectural, scientific and humanistic heritage that has inspired many civilizations of the Middle East and the West. Learn Arabic alphabet will help you to open up to others, to develop your skills such as concentration and intellectual curiosity and to stand out during your university career to find an exciting and coveted job. Are you willing to make a difference by learning the Arabic alphabet? 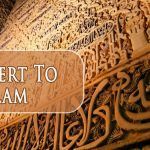 In this article, you have all the keys to how to master the Arabic language. Do you need an Arabic teacher? Although the fashion of now is to study foreign languages such as Chinese, Korean or Japanese, taking Arabic classes at the university as a second or third language is a real advantage. It all depends on your projects and interests and your ability to work and concentration mainly, but speak Arabic online and learn Arabic Online to read Arabic will be very helpful for your future. If you want to work in the commerce or tourism sector, the Arabic language will open new horizons for you. The Arab world is vast and includes essential countries in the economic, financial and geopolitical fields such as Algeria, Egypt, Tunisia, Morocco, the United Arab Emirates, Kuwait, Qatar, Iran, Iraq, Saudi Arabia, and many others. These countries are continually evolving. The first advice we give you if you want to work in the region of the world where Arabic is dominant is that you do not wait another minute! The sooner you start to learn Arabic Online, the better it will be. Do not force yourself to choose Arabic if you do not like it, because you will be unable to do enough to get it. But if you love Arabic culture, you already have some knowledge of vocabulary, and its conjugation and reading do not scare you, go ahead. Generally, there are two types of Arabic: cultured Arabic and colloquial Arabic. The Arab cult is the standard Arabic of all Arab countries, is the language in which you write, but also found in the speeches and the traditional media. The colloquial Arabic is only used orally and, depending on the country; the Arabic dialect is different: the Arabic of Egypt has nothing to do with the Arabic of Morocco or Saudi Arabian. It has an alphabet of 28 letters whose writing changes (of some, not all) according to its position within the word. It reads and writes from right to left. Arabic is part of the most widely spoken international languages. But to acquire this unique language, you have to become an extraordinary listener and learn speak Arabic online. that is, you must not only learn the Arabic alphabet and its calligraphy but also train your ear to listen to the new sounds that Arabic brings on a regular basis and keep going. So, if you wish to learn the Arabic language, start by improving your concentration in learning Arabic. Immerse yourself fully in the Arab environment, listen to dialogues and discussions in Arabic, and listen to broadcasts or the news in Arabic through Arab TV channels such as Al-Jazeera. You can also listen to podcasts in Arabic. It is an excellent way to develop your sense of hearing and improve your concentration. Thanks to the podcasts, which you can download and listen to again when you want. You will enrich your vocabulary, learn grammar rules, improve your pronunciation and discover the spelling of Arabic words. In short, you will improve your level of listening comprehension and your writing, reading and pronunciation skills. Internet radio Whether you hear them in the car, in traffic jams, on foot, on the subway or by plane. There are many radio stations that you can listen to live on the Internet. Educational pages: Visit pages specialized in learning Arabic that has dialogues between native speakers. Arabic gives you the opportunity to get away from it professionally. As, it is a language in high demand, especially in commercial, financial, economic and geopolitical exchanges. This course is for adults and kids both. One can join this course according to their requirements.